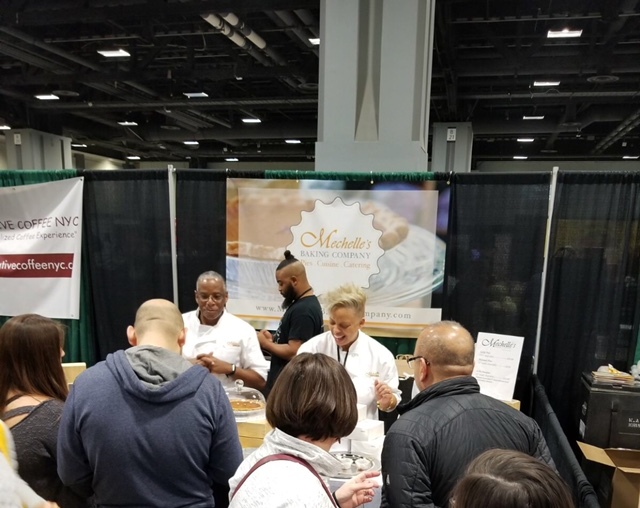 Mechelle and Ricky Allen, a wife and husband team, are owners of Mechelle's Baking Company. Executive Chef Mechelle has been perfecting homemade confections in her kitchen for nearly her entire life. Her natural culinary expertise stems from a deep passion for great food and from generations of learning directly from "mamas in the kitchen." Ricky is a retired Navy officer who manages the day-to-day operations for Mechelle's Baking Company. Mechelle and Ricky are Los Angeles, California natives born in Los Angeles, California and raised in the city of Compton (yes, "straight outta Compton!") They currently reside in Stafford County, Virginia, a place they call home and where they have raised three beautiful children.